"I was so excited when I picked up my bespoke Hermione Harbutt, I couldn't wait to wear it. It was simply stunning and fit perfectly with my whole outfit. One guest commented that it made me look quite ethereal and added something extra that most brides just don't have. Thank you for making such an exquisite piece that has now become a family heirloom - we've never had one before!" 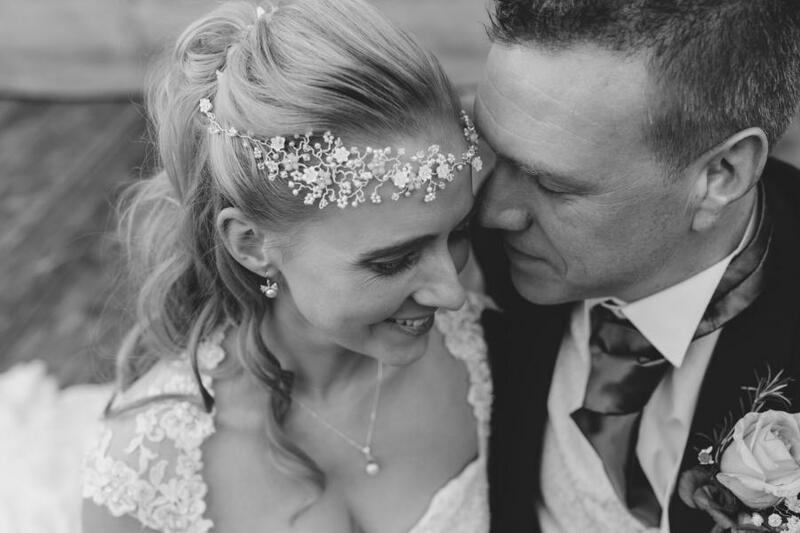 Fiona wearing her bespoke Violette Garland on her wedding day. Created by Hermione Harbutt. Photography by Mark Leonard Photography.